Intel Inside: What Generation of Intel Processor Is In Your PC? This tip was written for Windows 10. If you have an Intel Processor, it’s easy to tell what generation your CPU (processor is). Recently we featured a tip showing you how to learn all about your computer. Today, we are going to put that tip to use. In your Windows 10 taskbar search type “About” and press Enter. Highlighted (above) you can see my PC has an Intel Core i5 processor. It’s easy to tell what generation my Intel processor is by looking at the first number after the dash. As you can see below, the first number after the dash on my PC’s processor is 4. So, mine is a 4th generation Intel i5 processor . Yours will show 3, 4, 5, 6, or 7. With 7 being the latest generation. 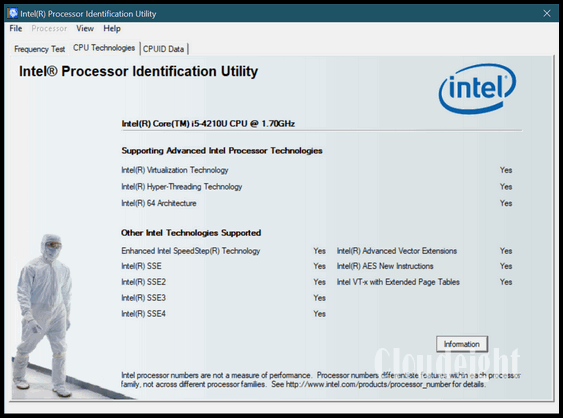 If you want to know even more about your processor, download the official Intel Processor Identification Utility for Windows from this Intel page. One last word. Some people refer to their computer’s case (or tower) as their CPU. This is incorrect. The CPU is your processor. This article does not apply to older Pentium processors. I believe you meant Pentium Dual CPU E2160 not EZ160. The processor is no longer in active support by Intel; you can read more about your processor here. My laptop is just written”intel inside” and nothing after that ,like no other information is given …what does intel inside mean? It means you have an Intel processor powering your computer. 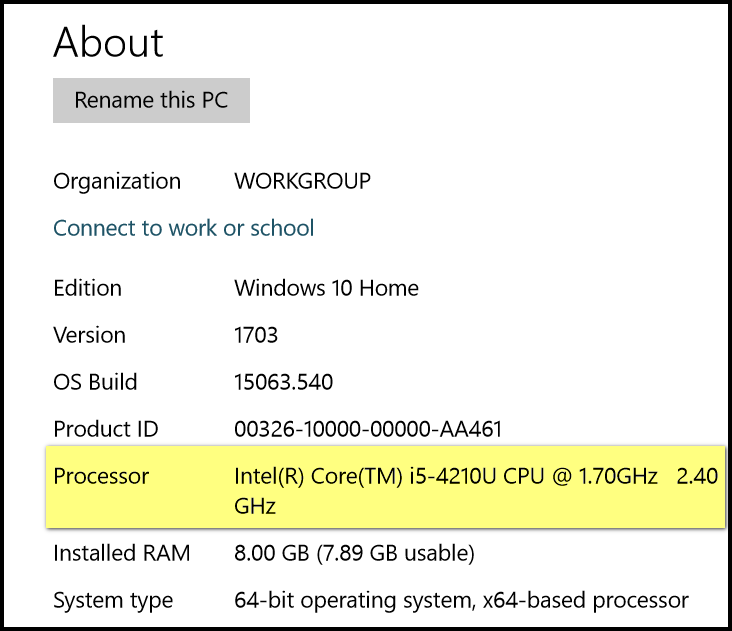 If you want to know which Intel processor you have you can open a run command ( Windows Key + R ). In the run box type “MSINFO32” without the quotes and click OK or press Enter. 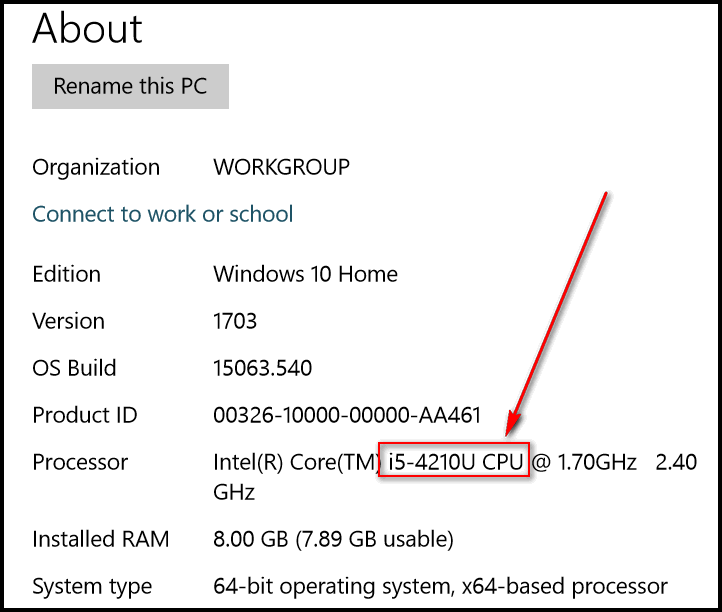 In the system summary, look at the list – next to Processor you’ll which Intel processor you have.